SWAROVSKI makes the finest crystal products such as crystal beads, pendants, crystal pearls, rhinestones, flat backs, rondelle spacers, channel set birthstone charms and much more. 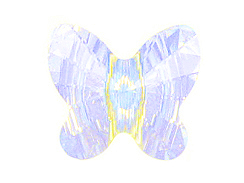 We at Beadwholesaler.com carry over 5000 different Swarovski crystal items in stock. This list of 5000 is growing by the day as we are adding new items by customer demand and also as Swarovski comes out with new colors, coating, and shapes. Don't forget to check out our Swarovski Flat back Rhinestones and Swarovski Crystal Pearls to explore more SWAROVSKI products..
Be sure to checkout our Get Free Swarovski Crystals with Purchase of Swarovski Products Promotion. It is a great way to get free select Swarovski beads and pendants. PLEASE NOTE: All Swarovski beads under this category can be assorted (mix N match) for higher volume discounted prices.